Game 7 of the Stanley Cup playoff series between the Chicago Blackhawks and the Detroit Red Wings marked the last time these teams will face each other in a Western Conference playoff series. Next year, the NHL will realign its conference structure, reducing six divisions to four larger divisions. As a result, the Red Wings and Columbus Blue Jackets will move to the Eastern Conference. It will be the first time since 1980-81 that the Blackhawks and Red Wings will not be divisional rivals. New rivalries will be forged, while others will be broken. Although they have been members of the Central Division since joining the NHL in 2000, the Columbus Blue Jackets never achieved the same level of rivalry that is shared by the Blackhawks and Red Wings. And with good reason: both Chicago and Detroit have co-existed in the same division for 76 of their 86 seasons in the league. While the division names changed–be it the American, Norris or Central Divisions–the rivalry remained the same. 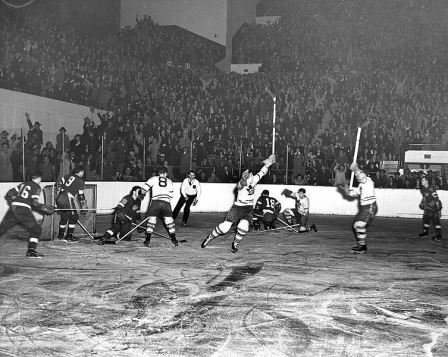 The league expanded again in 1970, with the Buffalo Sabres and the Vancouver Canucks playing in the East Division, while the Black Hawks (renamed Blackhawks in 1986) moved over to the West. For the first time in 44 seasons, the ‘Hawks and Wings would not be divisional rivals. 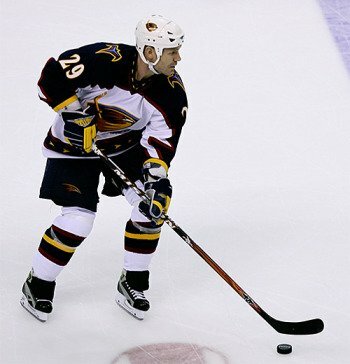 The Red Wings' and Blue Jackets' exodus to the east is thanks in large part to the relocation of the Atlanta Thrashers. The team was sold, moved to Winnipeg and renamed the Jets. For the past two seasons, the Jets have played in the Eastern Conference, traveling to face opponents two time zones away. This was partially because the league did not want to do a “quick fix” and swap the Jets with a team in the Western Conference, and partially because the NHL Players’ Association vetoed the league’s first four-division realignment proposal in 2012. Hopefully, the hockey fans will like it too. Next year, the Blackhawks and Red Wings will meet only twice during the regular season – far less times than the teams have traditionally met each year. The team that Blackhawks fans love to hate will go from perennial nemesis to occasional visitor. But if the teams do meet in the playoffs, it would be in the Stanley Cup Finals -- a series like that would quickly reignite any rivalry.